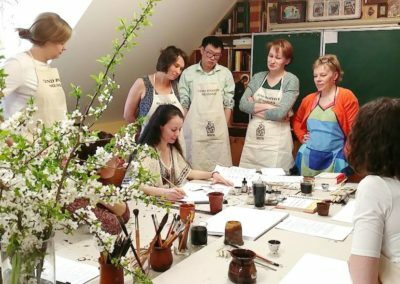 Inspired by a little tortoise-shaped inkwell which he has treasured since childhood, Anatoli Ljutjuk created the Tallinn School of Calligraphy to keep the art of writing by hand alive. 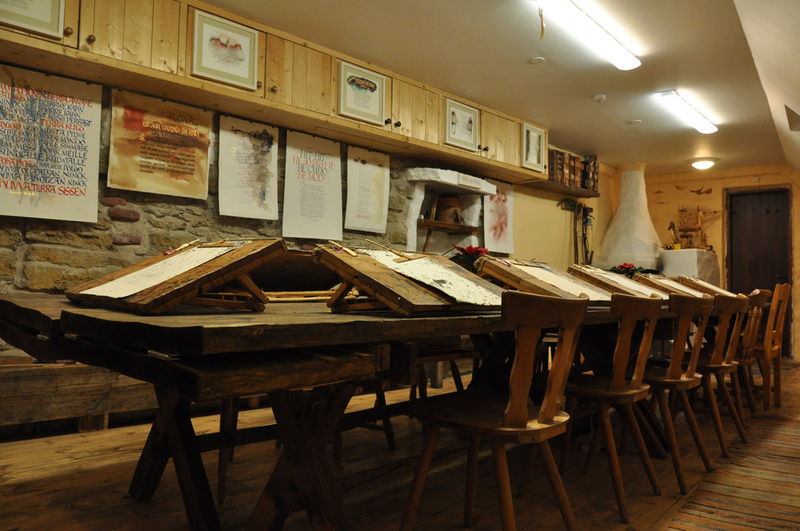 First, Anatoli built our unique calligraphy classroom – our Scriptorium – of twelve handmade desks within the Ukrainian Cutural Center’s medieval Old Town Tallinn home. 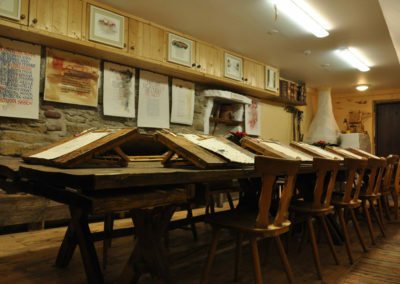 He also set about creating a Librarium – a library with a unique collection of books about calligraphy. 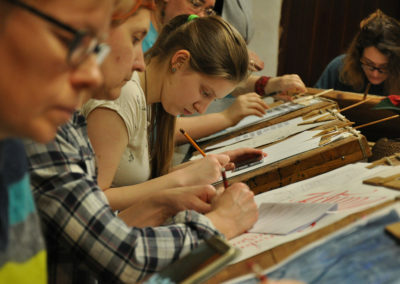 Next, Anatoli convinced Estonia’s top calligrapher, Heino Kivihall, to teach our first calligraphy classes back in 2005. 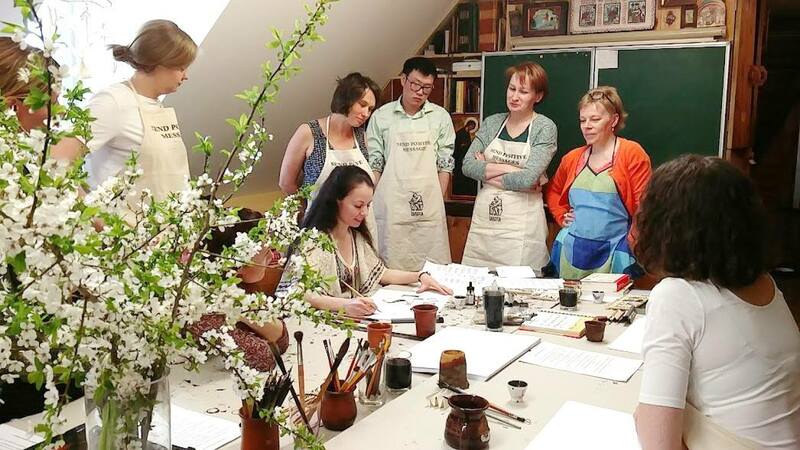 One of Heino’s star students – Tatiana Iakovleva – now runs the school after completing a three-year apprenticeship and graduating from St. Petersburg’s State Academy of Art. 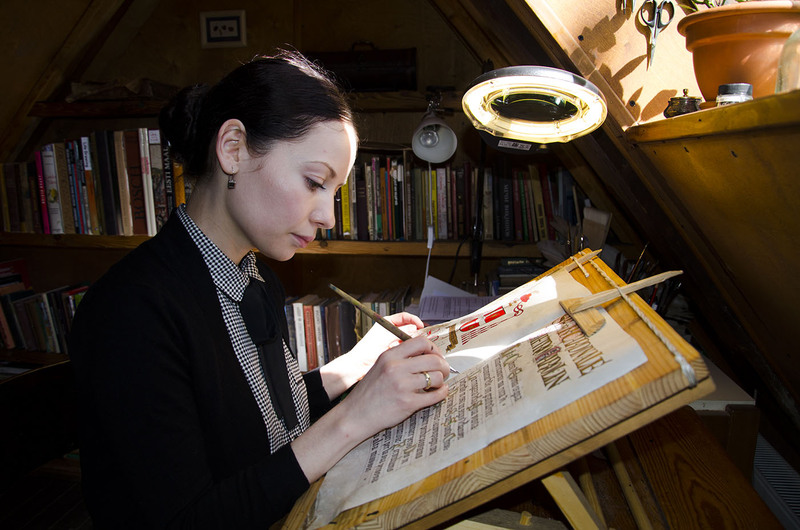 Tatiana teaches calligraphy from October to May. 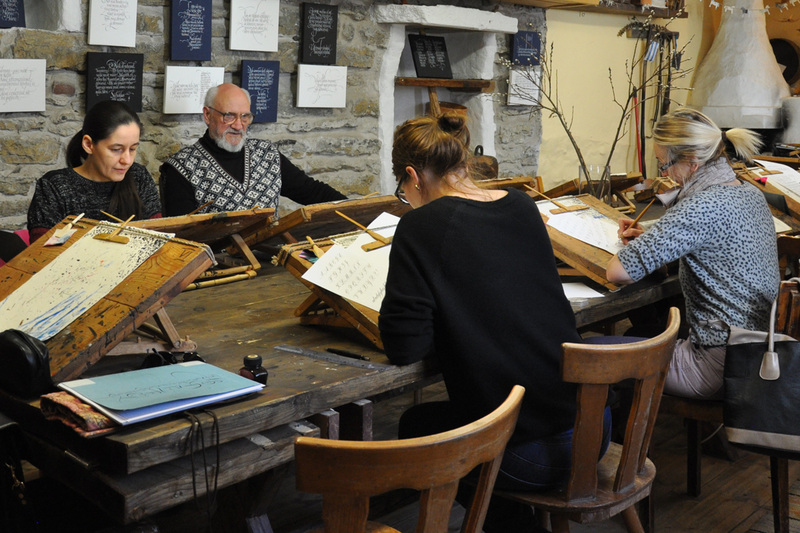 Hiding away from the cold and gloomy weather outside, our students sit and work in our cozy Scriptorium, relearning how to use their hands to fashion beautiful scripts. 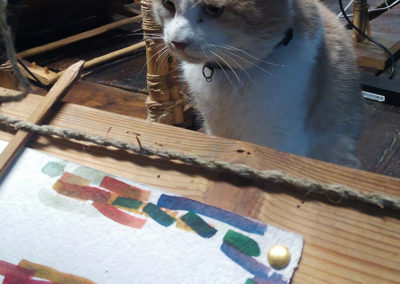 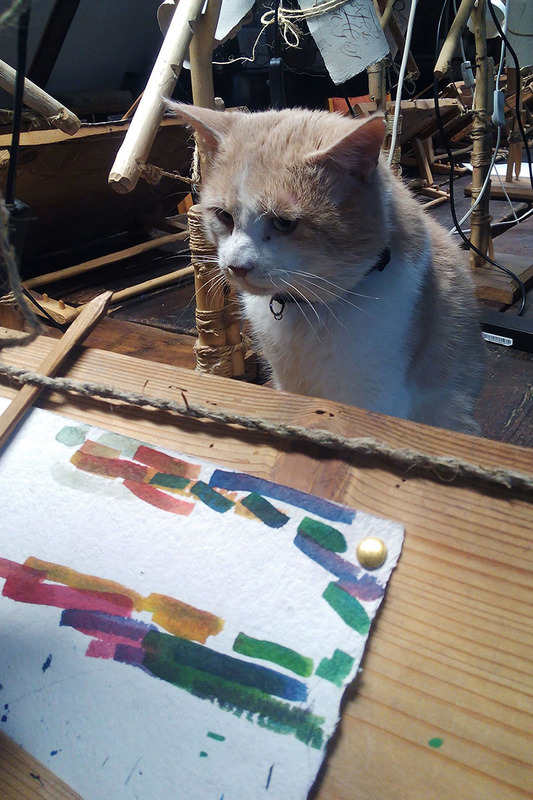 Our cat, Džambur, oversees everyone’s efforts while gently purring from his basket in the middle of all the paper, pens, and inks. 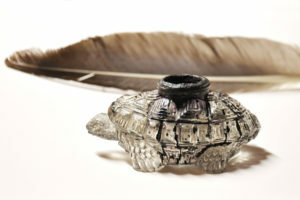 And not too far from Džambur, you will find Anatoli’s tortoise-shaped inkwell. 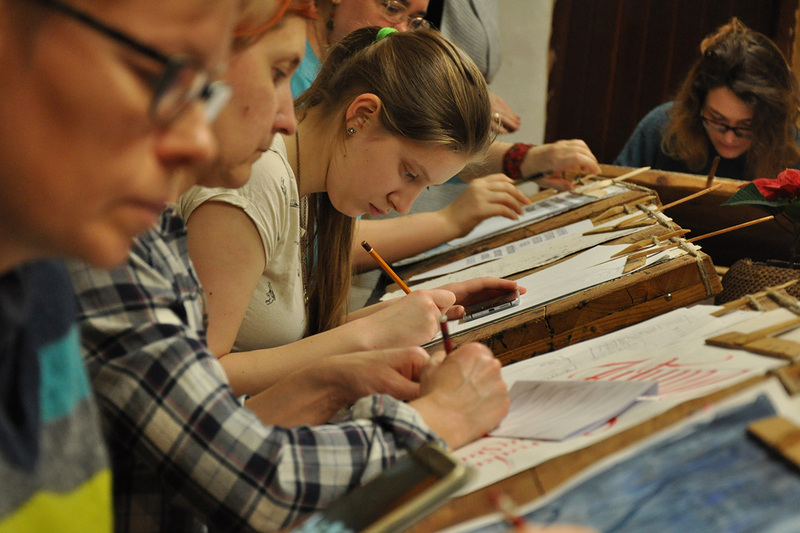 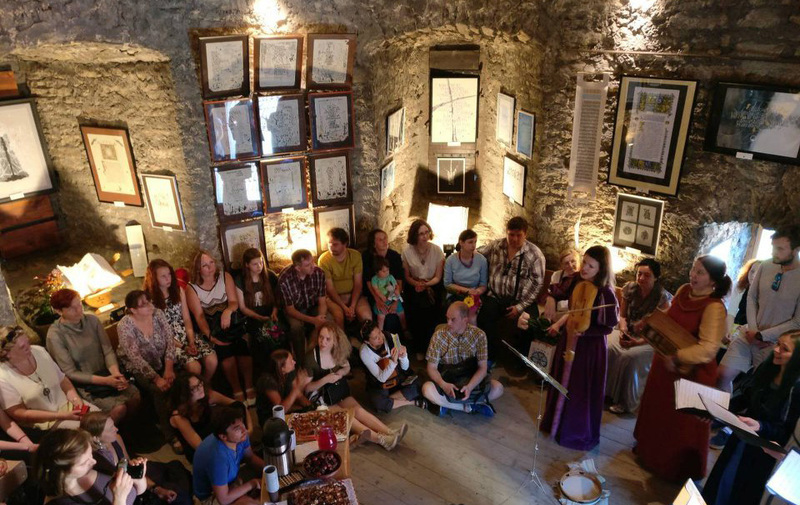 The Tallinn School of Calligraphy is a registered Estonian craft school headed by Tatiana. 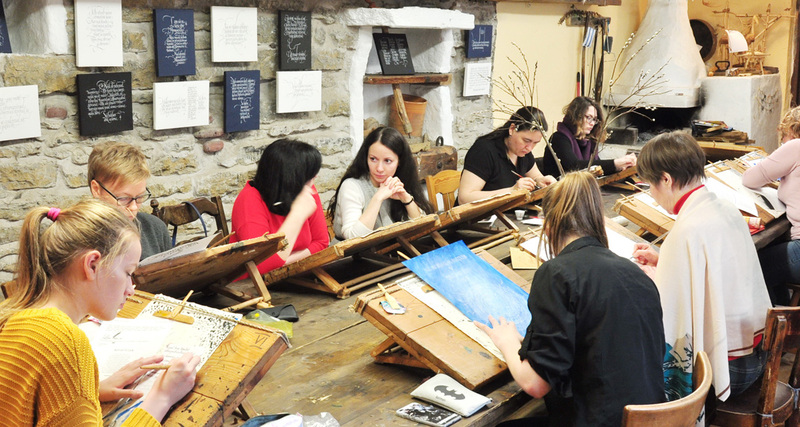 We offer both year-long courses as well as one-time workshops for groups. 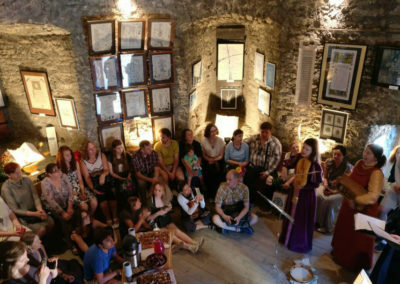 Several times a year, Tatiana also organizes special workshops. 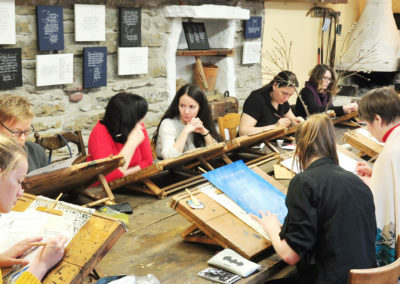 Please check out our workshop page or contact us at kirjakool@gmail.com for more information.